Osteoarthritis in the knee can result from an injury to the knee earlier in life. 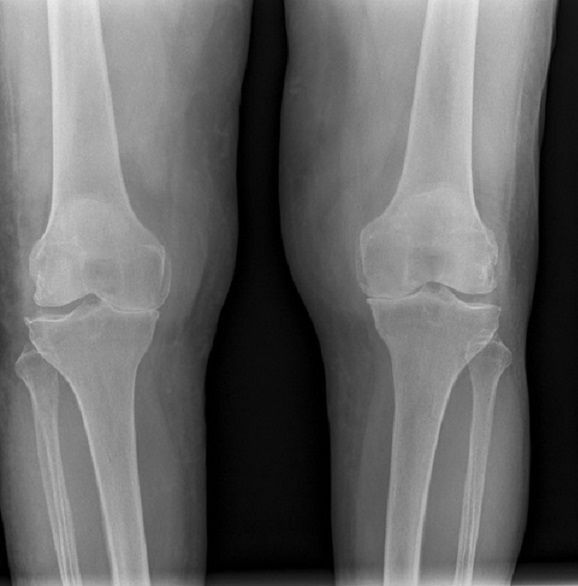 Bone fractures in joint surfaces, instability of the knee from ligament tears, and injuries to the menisci can all cause abnormal wear-and-tear of the knee joint. 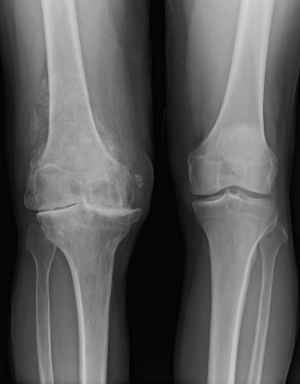 Not all osteoarthritis in the knee is related to a prior knee injury. Research shows that genetics can make someone prone to developing osteoarthritis. So, if you get your pain when you run, then I want to see you run, and see if there are any changes we can make, to make it less stressful for your knees. In terms of pain when exercising. Ideally I would like the exercises to be pain free.